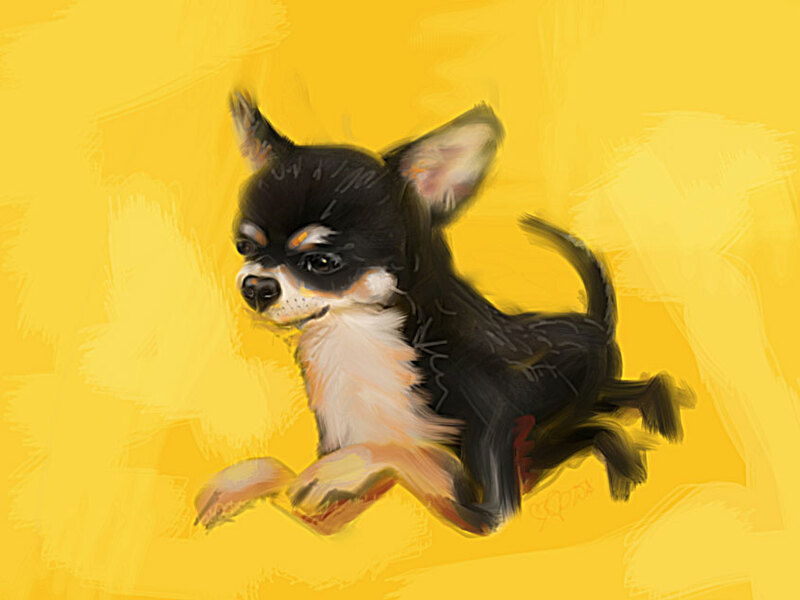 In this artwork, I portrayed the dog chihuahua Yellow. Chihuahua Yellow Splash, is a very agile dog. Always running around with a smile on his face. Dog, Dogs, Chihuahua, Chihuahuas, Dog Art, Dog Painting, Dog Paintings, Chihuahua Painting, Chihuahua Paintings, Digital Dog Art, K9 Art, Canine, Canine Art Chihuahua Yellow Splash by Go van Kampen. Symbol of loyalty, adherence, vigilance and nobility.